This book provides a specific programme of strategies for sufferers of Sjogren's syndrome - a painful autoimmune disease. 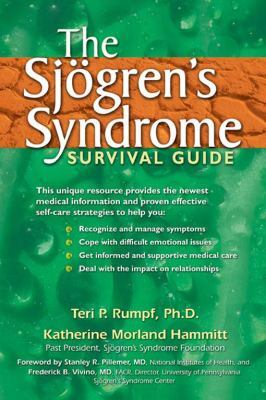 It gives patients the opportunity to learn the most effective ways to reduce symptoms, deal with pain, and cope psychologically with Sjogren's challenges.Rumpf, Teri is the author of 'Sjogren's Syndrome Survival Guide' with ISBN 9781572243569 and ISBN 1572243562. Loading marketplace prices 1009 copies from $3.27 How does the rental process work?